Two bedroom cabins with fireplaces open all year long. 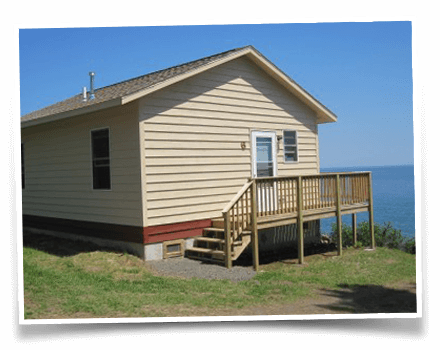 Two bedroom cabins open May - October. 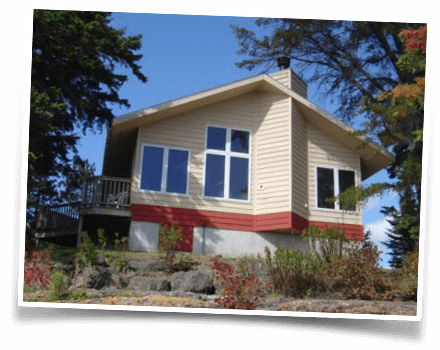 We offer modern housekeeping cabins that are located directly on the Minnesota shoreline of Lake Superior. They have a beautiful knotty pine interior with hardwood floors. All cabins have two bedrooms, kitchen, living area and a shower. All cabins are non-smoking and we do not allow pets. Fun Fact: Our cabin numbers are based on the order in which the cabins were constructed over the years. For reservations, please call (218) 834-4303 between 9am-9pm. If we are unavailable, your message will be returned at our earliest opportunity.